Technology investment is critical to enabling exemplary omni-channel customer experience. Omni-channel customer experience is now a brand differentiator. Many retailers have reached a false state of omni-channel comfort. 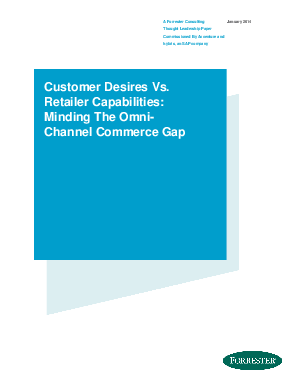 New titles alone won’t cut it — retailers must abolish siloed channel strategies altogether.